So here's the original photo I used for this experiment. This is one of my ancestors--a wonderful photo of a woman named "Babette." I love that I have an ancestor named Babette. Especially one with a photo like this. Worlds different from most of my other ancestor photos which are a little dour and very, um, shall we say, plain looking? Then, into the photo album springs Babette in all her glamorous beauty. Funky. First, I printed Babette onto plain, untreated Lutradur. Nice effect, but a bit ghostly. Sorry about the image--it was incredibly hard to get good photos of these in the lighting I had available to me at the time--and the flash completely wiped it out. I did a little bit of adusting for brightness and contrast so you could see anything at all, but I didn't want to do much because it would misrepresent the effect. So, meet Babette the Ghost. Next, I printed Babette onto the Lutradur treated with medium matte gel. Again, just a hair of adjustment for brightness/contrast for the sake of a photo for the blog, but not much. In this case, Babette worked pretty well on the version with matte gel. It's still a little on the translucent side, but also clear enough that you can see the actual image. Finally, I printed Babette on Lutradur coated with gesso. 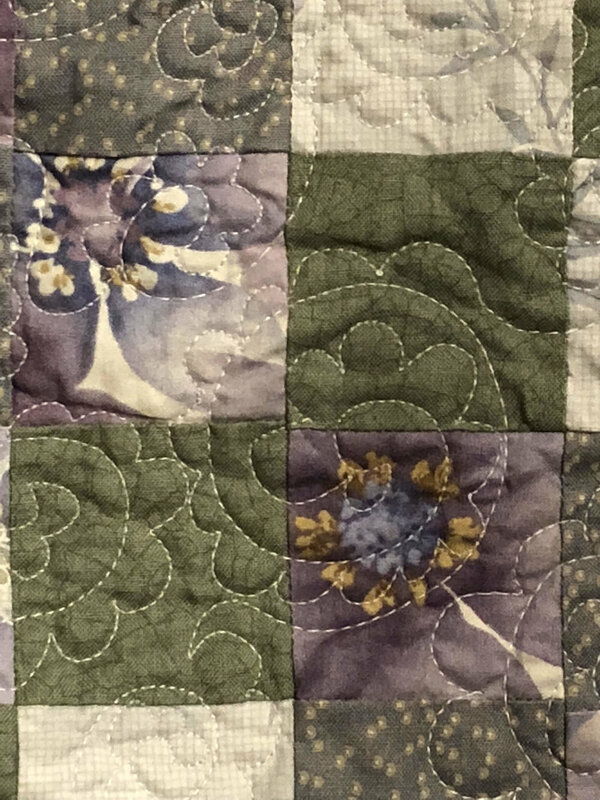 I thought I had saturated it pretty well, and had used my fingers to work it in the way the Quilting Arts Workshop video with Lesley Riley had suggested, but clearly I needed to do more. You can see the streaks. However, that in itself could be a fun technique to play with. Underlying streaks create their own textural element. As they say, "it's not a mistake, its a design opportunity." Babette actually looks a bit like she's sitting behind a sheer curtain or something, with those streaks. I was surprised--I'd have thought the gesso version would be the most clear in terms of detail, but I actually find the matte gel version to be the most clear in this case. That being said, if I'd really saturated that gesso and used a photo with more defined edges and detail in it, I'd probably have very different results. Of the three versions of this particular photo, I like the matte gel the best. That being said, I'm still remaining open to playing with all of them in projects. I'm now in search of Golden digital grounds (I don't think I have the name right but don't have time to check right now) that Heidi recommended--that may give very different results. My sister is coming up to spend the weekend over Memorial Day and she's a talented artist. When she emailed to ask if it was a good weekend to visit, I said, "Great! We can play with Lutradur--you're going to love this stuff!" I've laid in some more supplies and expect to have great fun, and probably make a terrible mess. She'll push my creativity, I'm sure. In terms of other quilty projects, I'm still finishing up the last details on my pocket organizer that I started at the quilt retreat. It worked ok but not my favorite project. Very basic, relatively fast, low satisfaction except "another project done." This was a pure stash-buster project--I have more charm packs than you can shake a stick at, although why you'd be shaking sticks at charm packs is beyond me. 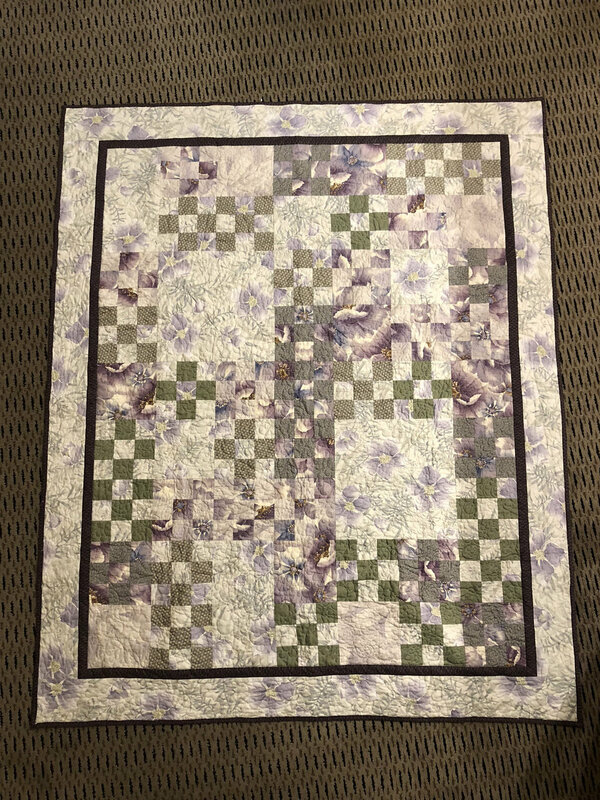 Not completely digging the way the colors worked, and there was some puckering along the edges when I put the binding on (which I didn't realize until after I had it done). I still have to hand-stitch the binding to the back, but to all intents and purposes, it's done. I had originally planned to make another of these for my daughter's room with another charm pack and a couple of fat quarters--not sure at the moment whether I'll still do that or not. It wasn't a hard pattern by any means, although there were a couple of details left out. And making something the second time always turns out better because you know what tricky points to watch out for. But I also hate doing the same thing twice, LOL. 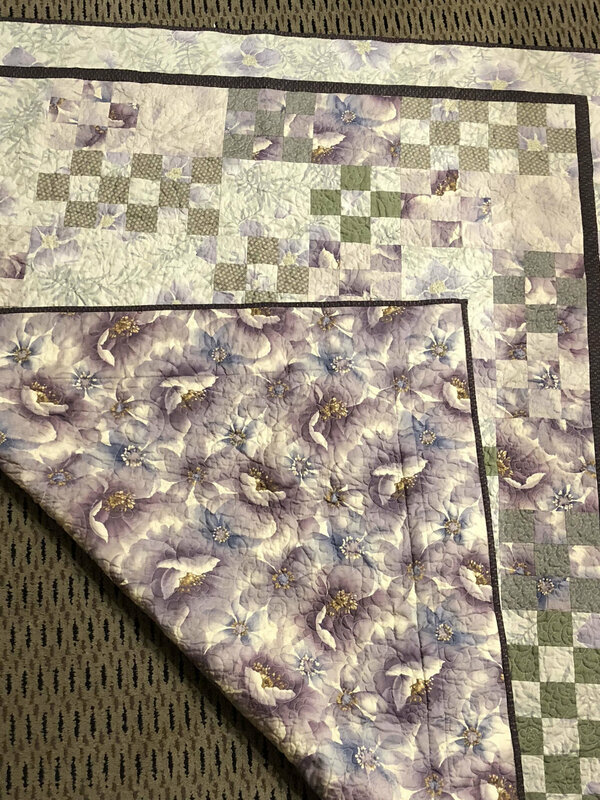 Now I need to spend the next couple of days catching up with my Quilt University class on EQ--I'm two lessons behind!--then I can get back to working on some other projects on the docket. Somehow I suddenly got very quilt-busy!